Note: This post has been updated for 2018 weddings, but the shop section at the end of the post has new dresses that should be in stock. 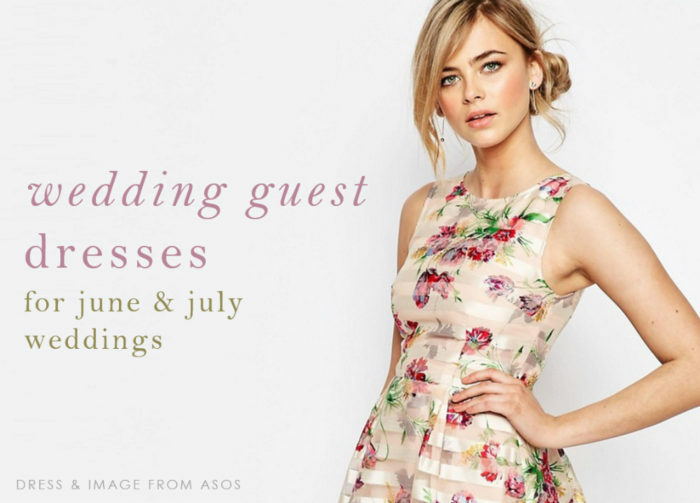 Also check out our summer wedding guest dresses, and recent post with a guide to June Wedding Guest Dresses! Well, I feel like I was just writing my summary of wedding guest dresses for early spring, and now we find ourselves in June! It’s prime wedding time! 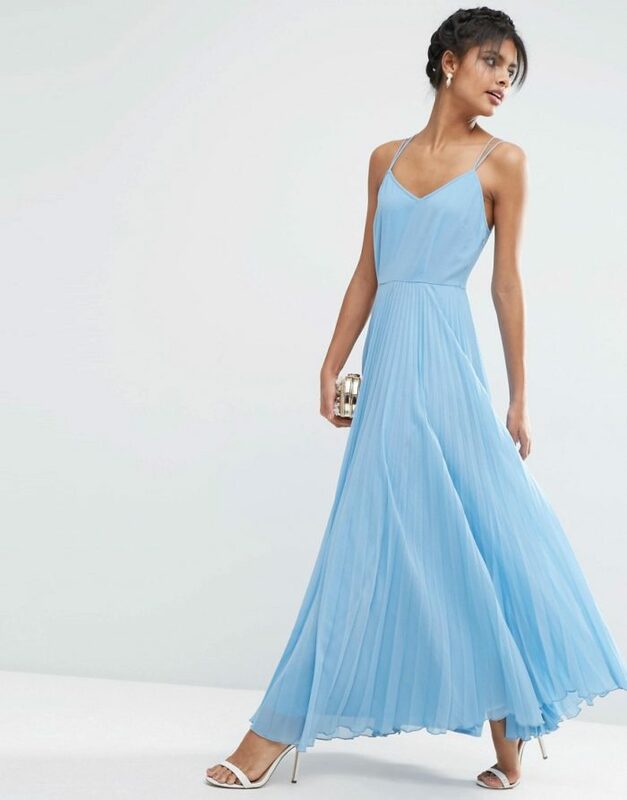 If you’re scrambling to find a dress to wear to a June or July wedding, this post will help you find some of the newest picks for wedding appropriate attire! I also always keep a few running shop pages dedicated to guest of wedding dresses organized by dress code, a spring wedding guest dress page and the summer wedding guest dress page which I try to keep updated with looks. I think we have some really pretty picks here, but if you’re looking for more dresses for a specific dress code, I’ll share those links with you below! Since I know myself well enough to know that I’ll probably like the same dresses for June and July ( and might not get a chance to pull July-specific picks!) so I’ve combined the two months here – and maybe in August we’ll do a new fresh look. For now, here are my finds for dresses for 2018 summer weddings! Shopping sources noted with links in italics are affiliate links from sponsors and retail partners. Shop Dresses to Wear to A June or July Wedding! Lemon Scallop Midi Dress from Dorothy Perkins. Another great pretty yellow wedding guest style for a morning or afternoon wedding. Warehouse lace pleated midi dress from ASOS A fresh pink pastel summer wedding guest dress for morning into afternoon weddings! 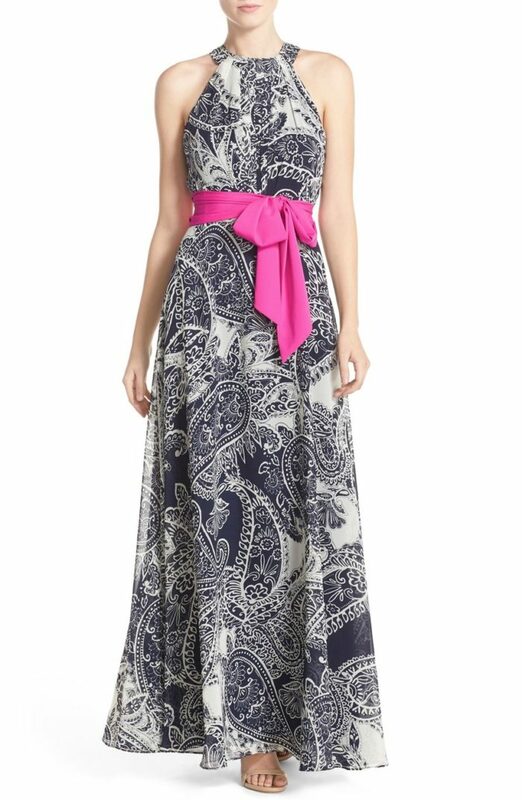 Print Chiffon Maxi Dress. A beautiful navy blue print accented with a pretty pink bow. Wear this to a garden wedding or beachfront reception. Blue Viviana Dress for rent at Rent the Runway. 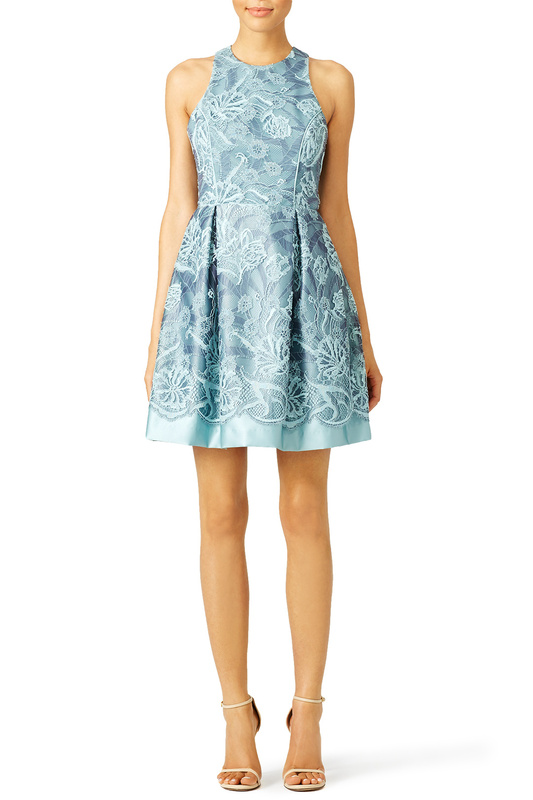 A pretty lace fit and flare for afternoon weddings with a semi-formal dress code. 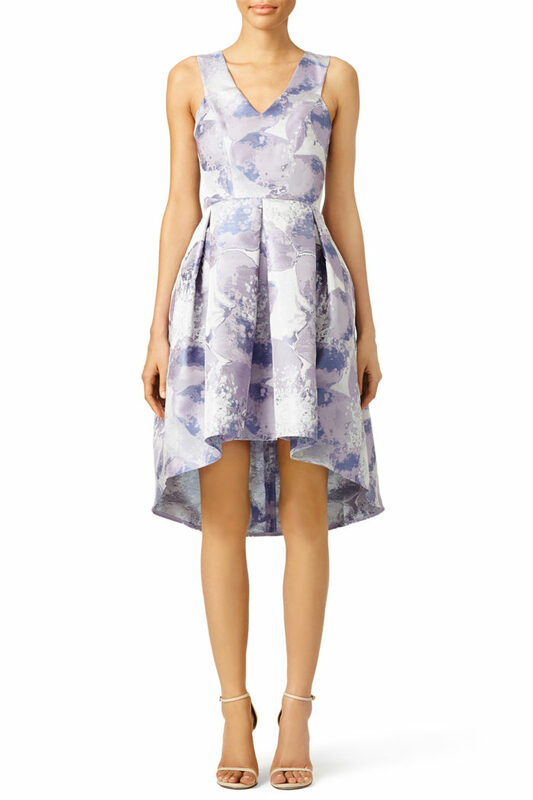 Oasis Floral Organza Skater Dress from ASOS. A better look at our featured dress, a pretty blush with stripes and all over florals. Purple Gabi Dress from Rent the Runway. A pretty lavender hi-low style for afternoon weddings. Scuba Midi Dress from ASOS. A floral dress is always appropriate for daytime and the sleeker fit of this one makes it cocktail hour appropriate as well! ASOS Printed Off-the-Shoulder Hitchcock Midi Pencil Dress. Floral & off the shoulder is such an of-the-moment look. This makes for a beautiful semi-formal summer wedding guest style. X back Midi Dress from Revolve Clothing. A beautiful flowy midi length blush dress for a daytime outdoor wedding. Woven Cami Pleat Dress. Yes, I definitely have a thing for pleats and long gowns this season! I love this for a semi-formal or formal look, but it can be dressed down for the daylight hours as well. Amelie Pleat Dress from Revolve. More pleats in a beautiful shade of blue. Ideal for a beach formal dress code! 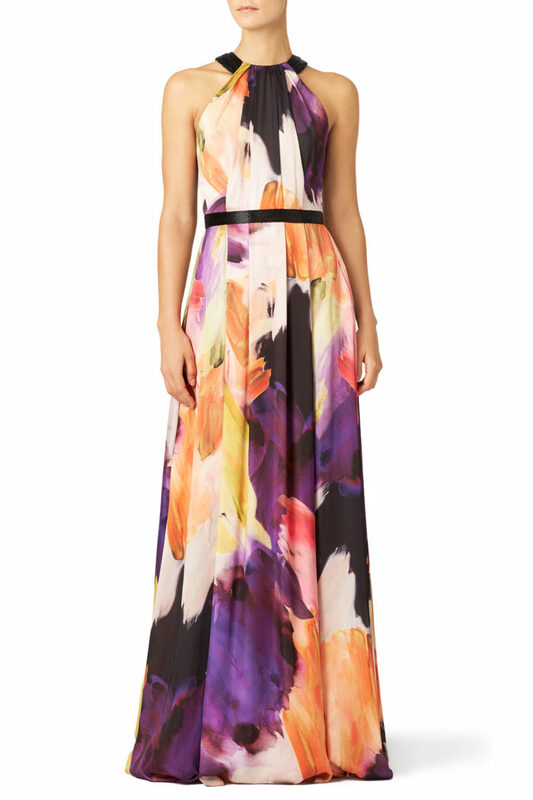 Dahlia Watercolor Gown by Pamella Roland from Rent the Runway. Love a bold print! Need more ways to search for a style? 40 + more picks in the shop section below, find a dress by color, or check out these other posts with wedding guest dresses by dress code and style as a feature. Shopping sources in shop sections and links in italics denote sponsored affiliate links.